There are many activities to do and sights to see on both sides of the harbour. Set out on a scenic hike, check out historical landmarks, or head to a beautiful sandy beach. 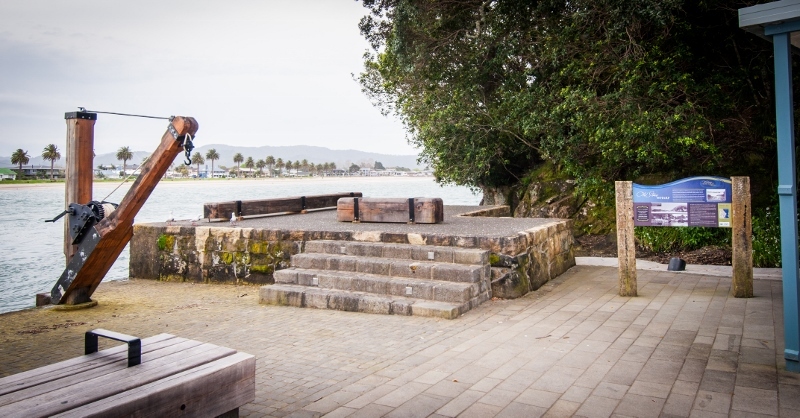 The wharf itself is of historical significance as it is the oldest stone wharf in Australasia. It was built in 1837 from local stone cut from nearby cliffs and was used as access for the shipbuilding yard and timber mill built at Ferry Landing. 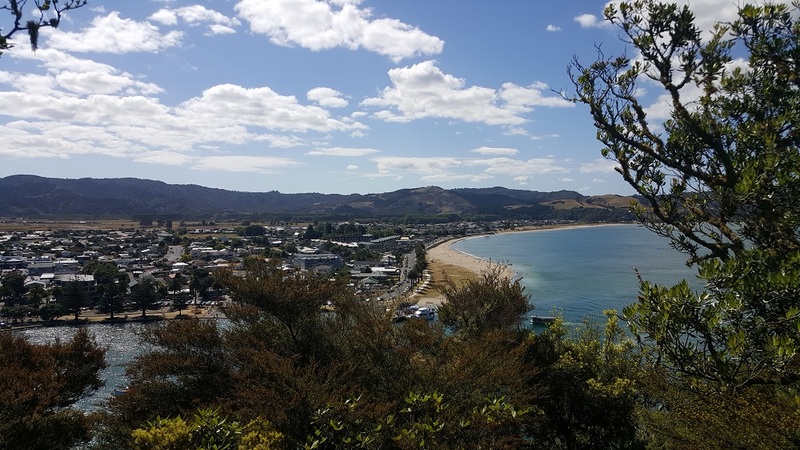 This was the first permanent European settlement on the Coromandel. Ferry Landing is the gateway to some stunning walking tracks. This track begins at the wharf and heads along the back of the small beach to the right of the wharf. The walk climbs up to Whitianga Rock which is the site of a well fortified Ngati Hei Pa site. This pa guarded the entrance to the Whitianga Estuary. Loop track. From the wharf, this track continues from Whitianga Rock down through the wetlands of Back Bay. 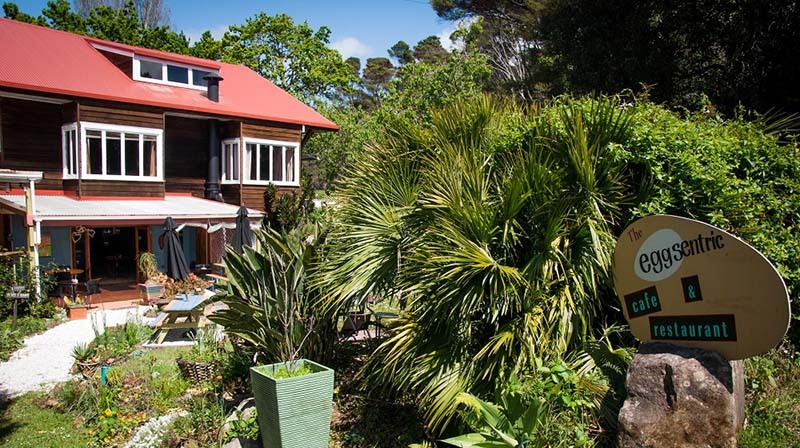 It then ascends up through native bush to a stunning newly built viewing platform from which there are panoramic views across to Whitianga, right up to the head of the Whitianga estuary, and Buffalo Beach. From there the track heads down the northern side, with views across to Shakespeare Cliff, to Front Beach (Maramaratotara Bay). You can then turn left along Purangi Rd and back to the wharf. 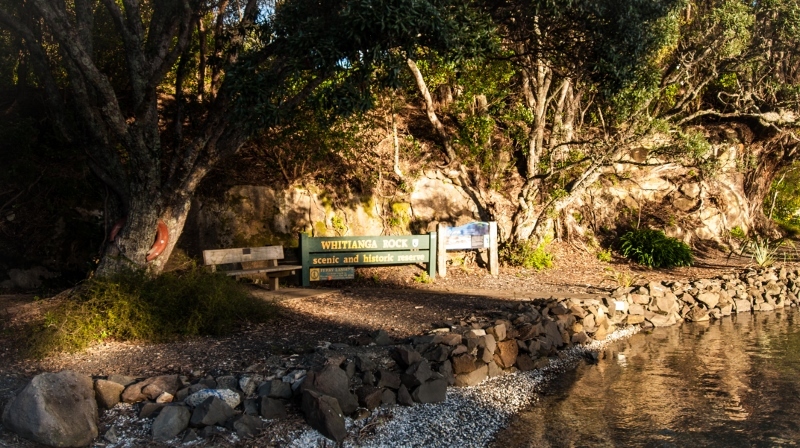 Access these wonderful walking tracks by walking along the road behind Front beach and Flaxmill Bay. A track at the eastern end of Flaxmill Bay leads up along the headland to a large grassy reserve with Pohutukawa groves. From here, link up with a gravel road to the lookout at the top of Shakespeare Cliff. This is one of Coromandel’s most outstanding vistas and where the Cook Memorial is situated. 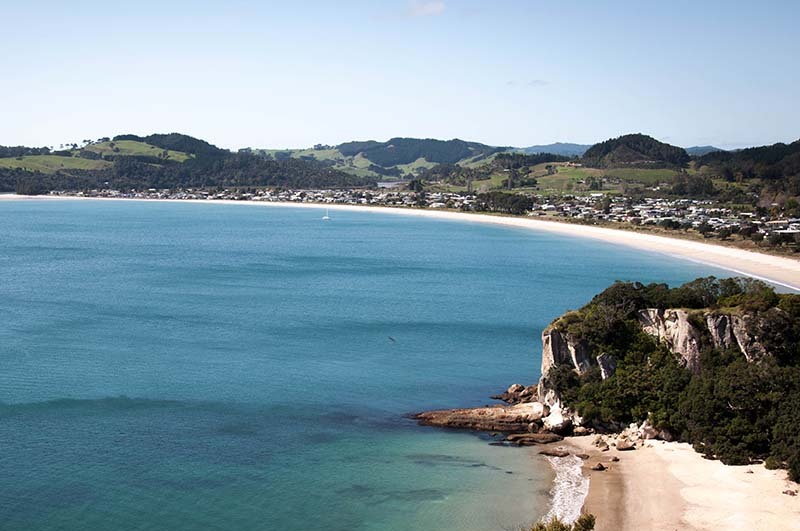 From the headland, you can see from Whitianga and Buffalo Beach to Wharekaho (Simpson Beach), the islands in Mercury Bay, Cooks Beach, and Lonely Bay beneath you. Front Beach (Maramaratotara Bay) is less than a 5-minute walk from the ferry and is an absolutely stunning white sand beach. 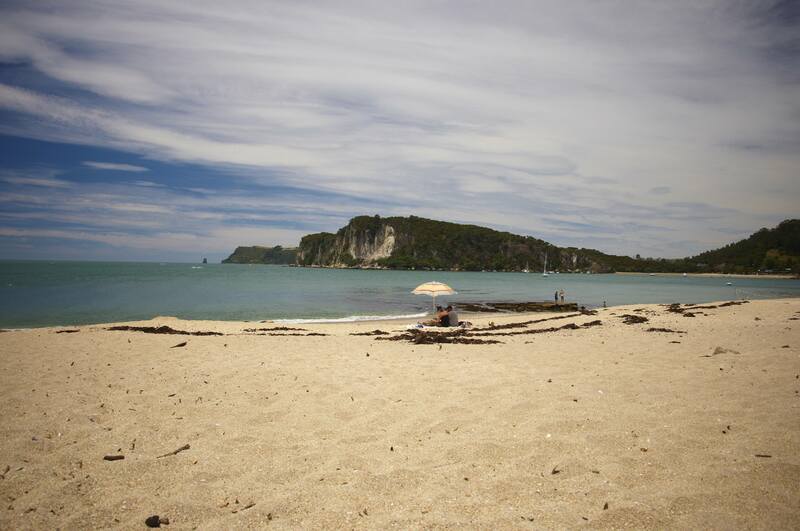 It has pohutukawas providing shade, is great for swimming and is the perfect place to spend a day at the beach. A quick five minute walk from Shakespeare Cliff, Lonely Bay is well worth a visit. It is a really pretty beach with limestone boulders and is great for swimming. Following on is Cooks Beach, a beautiful crescent shaped white sandy shore, stretching approx. 3 kms. 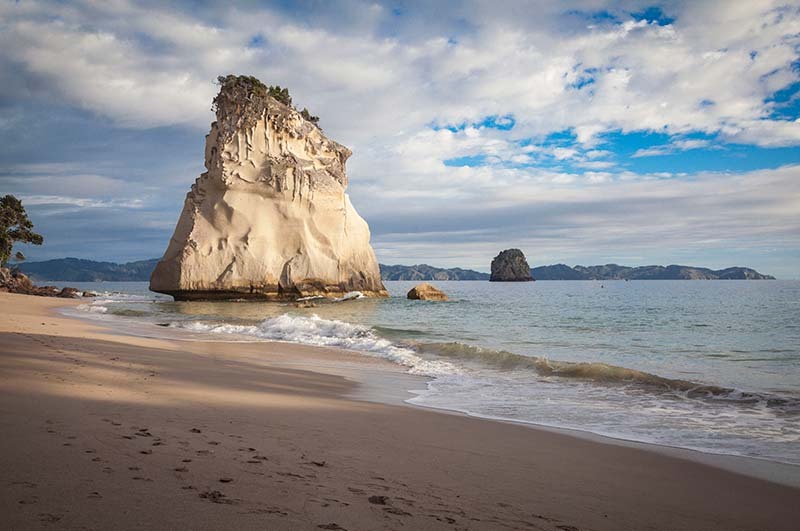 The famous Cathedral Cove and Hot Water Beach can also be accessed from Ferry Landing via a short shuttle ride. 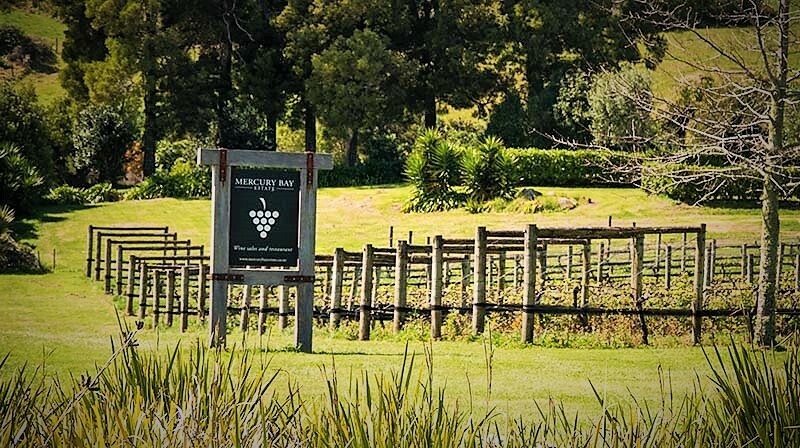 Mercury Bay Estate in a winery set in the beautiful hills behind Cooks Beach and serves great pizza and platters. Open Wednesday-Sunday for lunch, wine tasting and sales. The Eggsentric is an iconic café serving breakfast, lunch and dinner. Just a 10 minute walk from the ferry, it also has a well-stocked deli. Perfect for picking up a picnic lunch from before heading to one of the beaches to enjoy the afternoon. And if you feel like a coffee, or a yummy ice-cream, be sure to stop in at the Ferry Landing Store just at the top of the hill from the Wharf. 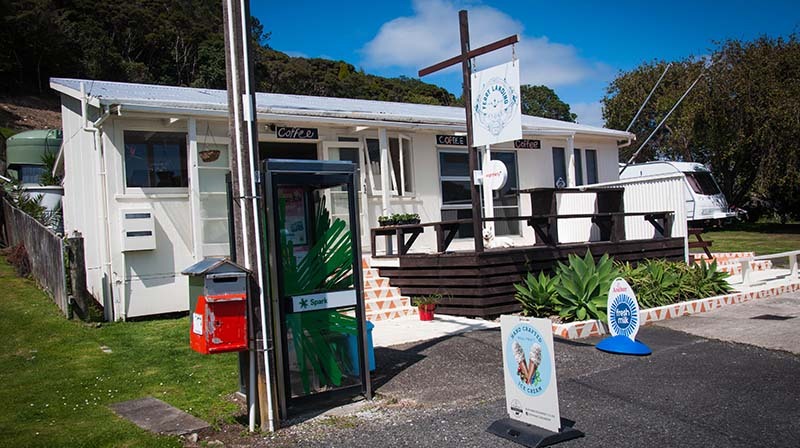 And for those of you lucky enough to stay on the Ferry Landing side at Cooks Beach, Flaxmill Bay, Hahei, or Hot Water Beach, a short ferry ride will take you to Whitianga where you can enjoy numerous cafes, bars, and restaurants, and shopping. From the Whitianga wharf, there are many Fishing Charter and Sightseeing boats that venture out to our beautiful Mercury Bay. 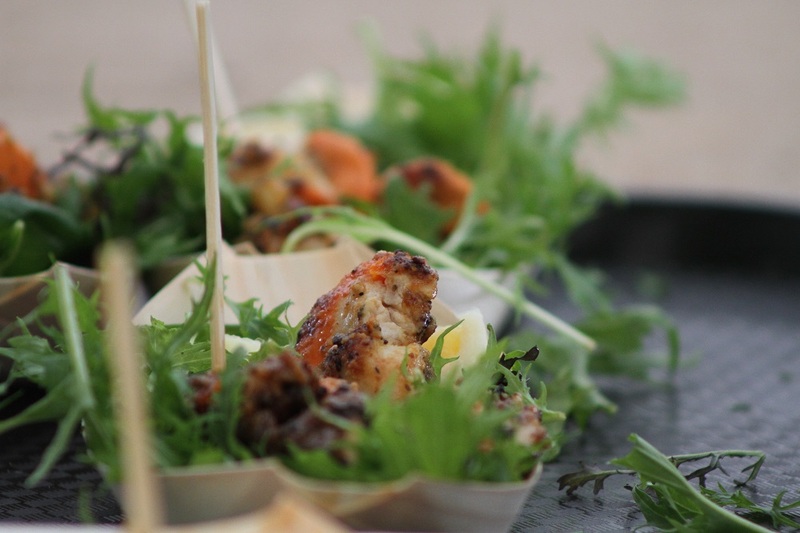 The annual Whitianga Scallop Festival is a fantastic day out with top quality food stands providing a range of delicious dishes and fine wine for your taste buds to enjoy. 2019 Festival date yet to be confirmed. 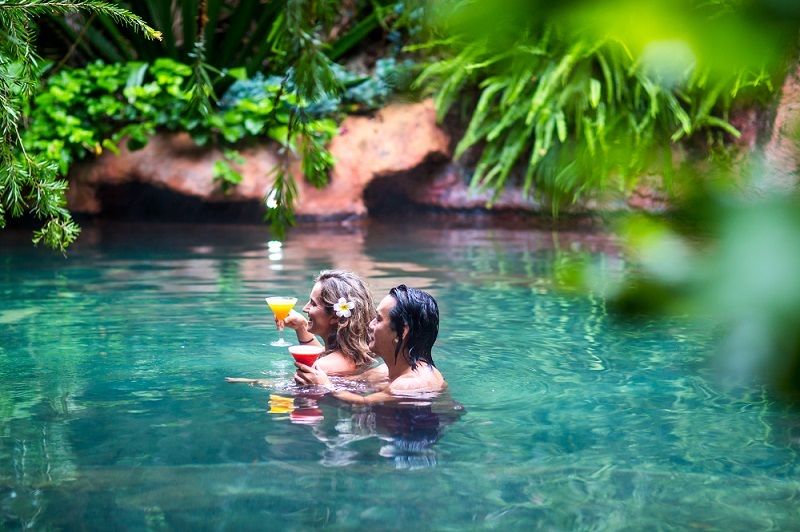 A visit to The Lost Spring should be high on your priority list. Just a few minutes’ walk from the ferry, it is an oasis of thermal pools, a place to escape reality for a day, or an hour. 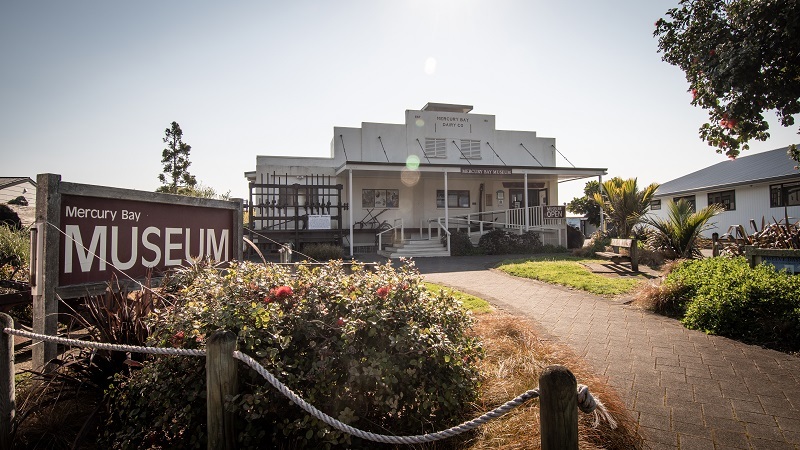 Just across the road from the ferry terminal is the Coromandel Peninsula’s most visited museum with many interesting exhibits such as the early adventures of navigators Kupe and James Cook, the history of fishing in NZ, natural history displays and an extensive photographic collection.